For the third year in a row Star Quality Hospitality has come on board to support the Boutique Hotelier Personal Service Star Awards 2017 and will be once again sponsoring Customer Service Star Award. 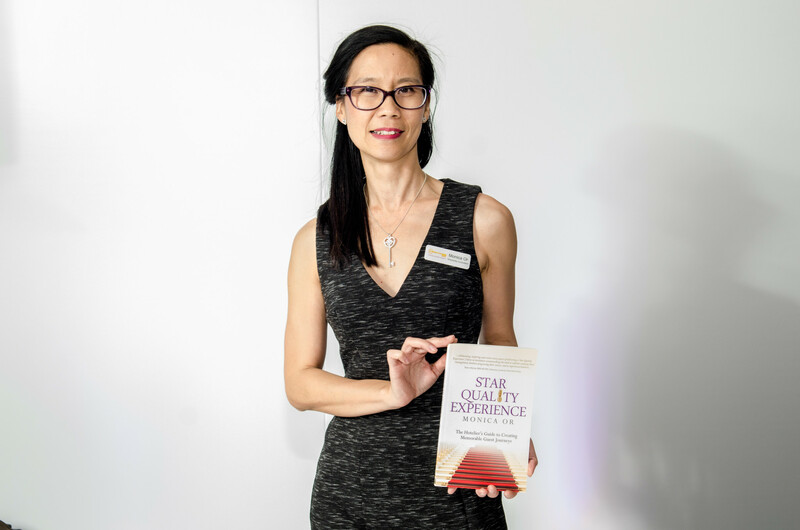 For the last two years Monica Or, founder and hospitality consultant for Star Quality Hospitality Consultancy has sponsored the Boutique Hotelier’s Customer Service Star Award and is delighted to be sponsoring again for a third year. Or says: “When working in hospitality, being welcoming and hospitable is part of the job. Although these days guests want even more; they now want personal individualised experiences at the properties they stay in. These can only be delivered by individuals that have a true passion for the industry and are able to pay it forward every day by delivering random acts of kindness to their guests. That is a genuine selfless act that will be of benefit to their guest, who won’t realise they needed their assistance until they have received it. The reason I sponsor these awards is so that these individuals who are often the unsung heroes, get their 15 minutes of fame which is so deserved. Monica is also the Amazon Best Selling author of ‘Star Quality Hospitality – The Key to a Successful Hospitality Business’ and ‘Star Quality Experience – The Hotelier’s Guide to Creating Memorable Guest Journeys’. Attendees at the last two awards received copies of her books, no promises there will be a third book out in time for this year’s awards, although Monica will be surprising the attendees with another exclusive gift. If you want to receive it too, ensure you attend what promises to be another memorable night of celebrations. The Boutique Hotelier Personal Service Star Awards celebrate the hard work and dedication of staff working at hotels up and down the country. Now in their fourth year, the ceremony is held on the first night of the Independent Hotel Show (October 17th) and is free to attend for hoteliers. The nomination process will open in July, before a shortlist is drawn up and the winners are decided upon by a panel of judges, to then be revealed at the ceremony in October. There are a number of sponsorship opportunities available for suppliers to get involved in the event.